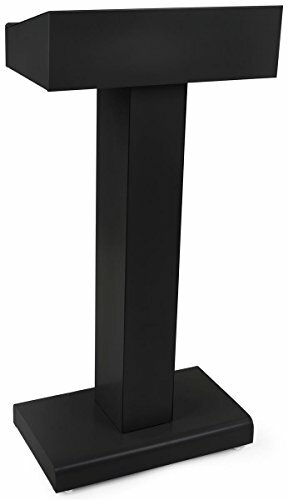 This lectern for speeches in black rests on a rectangular base. An open storage area under the presentation area provides room for microphones, notes, pens, and other reference materials; even an iPad. A lipped edge keeps papers from slipping off the stand onto the floor.